Lentigines are more prevalent in red-haired people. Laser treatment can fade the appearance of lentigo simplex. Lentigines are similar to moles. If necessary, chemical peels can fade the appearance of lentigo simplex. Moles may be malignant if they are asymmetrical, have irregular borders, appear to spread their color into surrounding skin or change in appearance. Lentigo is a clinical term for colored spots on the skin that are similar to freckles and moles. More people have lentigo simplex than any other form of lentigo. These spots are present at birth and can develop at any time. Unlike freckles or moles, lentigo simplex spots are not caused by sun exposure. It is a harmless condition and is common. The dark spots on skin in lentigo are called lentigines. These are darker than freckles. Usually, a person does not have many lentigines compared to the amount of freckles present, and they are found in scattered locations on the body. Lentigines are flat spots with round or oval edges. The edges can be rough or even. The spot is all one color, which can be brown or black. Itching and pain is not a feature of a lentigine. Sometimes, however, a lentigine can appear similar to a mole. 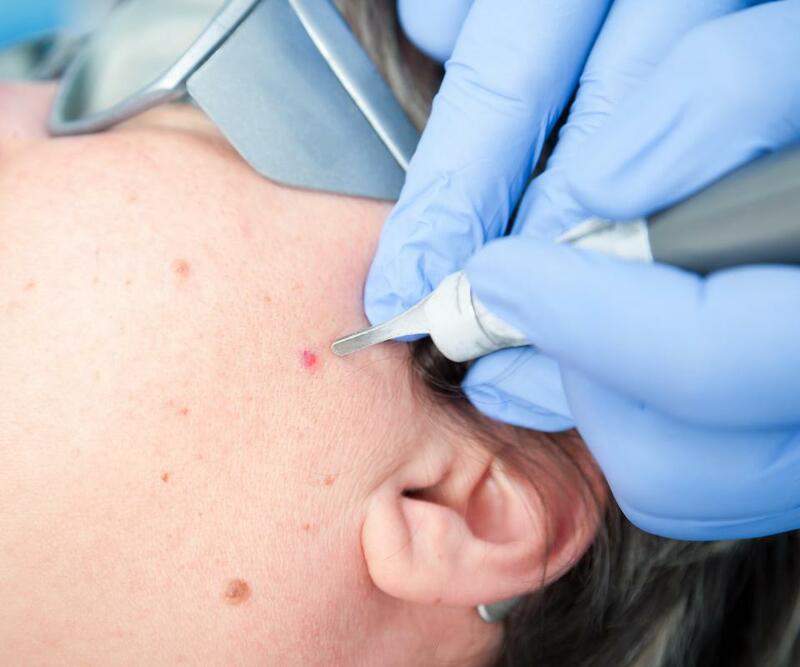 As unusual moles, such as one that itches, can indicate skin cancer, a dermatologist may have to inspect a lentigine carefully, or surgically excise it, to ensure it is not a mole. The sun does not cause lentigo simplex, and the lesions do not change in response to exposure to sunlight. Unlike freckles, they are present all year round and do not change color. They also do not appear in response to sunlight, unlike moles or freckles. Juvenile lentigo is another name for the condition as the spots can turn up in childhood or even affect newborn babies. Red-haired people are more likely than any other group to have lots of lentigines, although anyone can develop them. These spots are so common that another name for their presence is simple lentigo. Laser treatment or chemical peels can fade the appearance of lentigo simplex if required. The spots can fade away by themselves, but they can also arise spontaneously. There is no medical reason to remove lentigines in people who only have lentigo simplex as the spots are not malignant and do not cause any medical issues. Solar lentigo is another form of lentigo, where the spots are also known as age spots or liver spots. Some types of lentigo may indicate the presence of disease. Multiple Letigines Syndrome, or LEOPARD syndrome, is an example. With this condition, lots of lentigines erupt in childhood, along with heart problems, stunted growth, and eye problems. Peutz-Jeghers Syndrome, where lentigine spots are present on the mouth and fingers, indicates the presence of polyps in the intestine. What Are the Common Causes of Black Freckles? 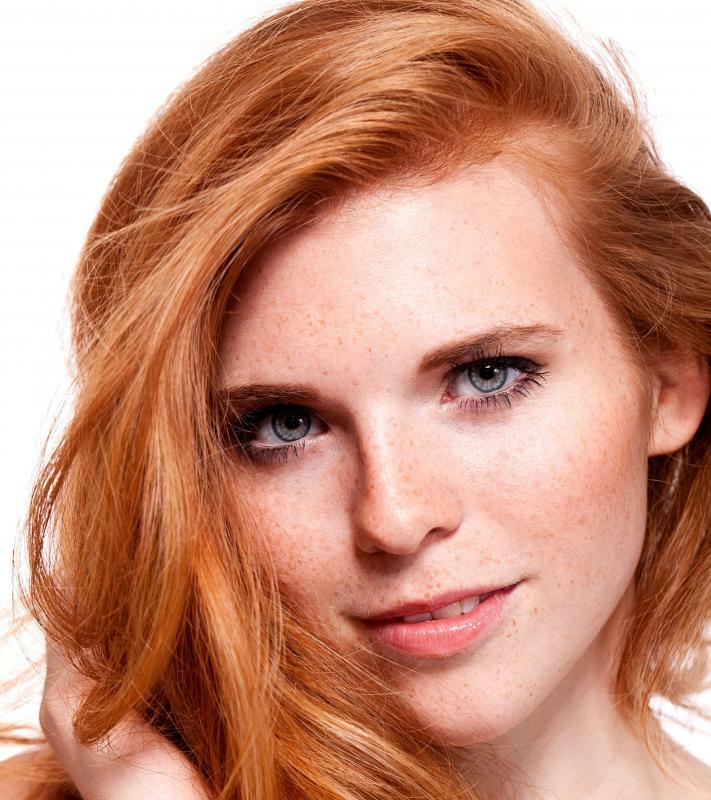 What Is the Connection between Red Hair and Freckles? I have lentigo simplex. The lentigo on my skin doesn’t really have an affect on anything. I’ve had it since I was a kid, so I don’t really notice it as being anything different. Most people think they are freckles when they see mine. I have been to a dermatologist, too. He found nothing wrong. It’s nice to hear it reaffirmed that lentigo simplex is not an indication of a systemic disease. My sister has what is called ‘ink spot’ lentigo on her shoulders. We were both interested to learn that a person’s race plays a roll in the presence of lentigo. Come to find out, we must have some Celtic heritage. My sister’s dermatologist told her that the ink spot lentigo affects patients with Celtic ancestry. She has two of these ‘ink spots’, but it is more common to find one ink spot among a bunch of solar lentigines. These ones are brought on at least in part by sun exposure. They don’t bother her, and the ink spot lentigines are not very big. The whole family was relieved that the spots were not dangerous. My sister makes sure to always use sun block now to help keep her skin as healthy as she can.